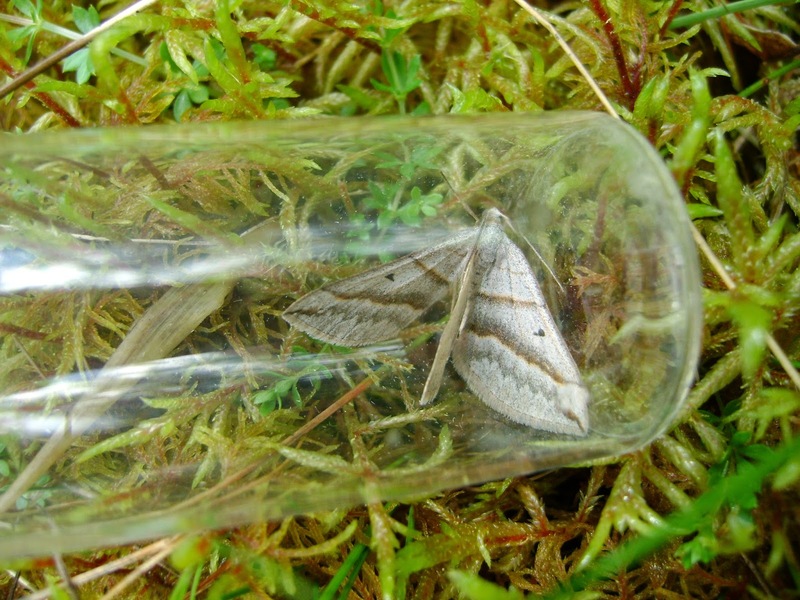 Carmarthenshire Moth and Butterfly Group: Hell`s Belles! The lead belle and the July belle are very closely related moths and they can be difficult to tell apart. They occupy similar heathy/rough-type open habitats and the flight period of the earlier-flying lead belle overlaps with the July belle. 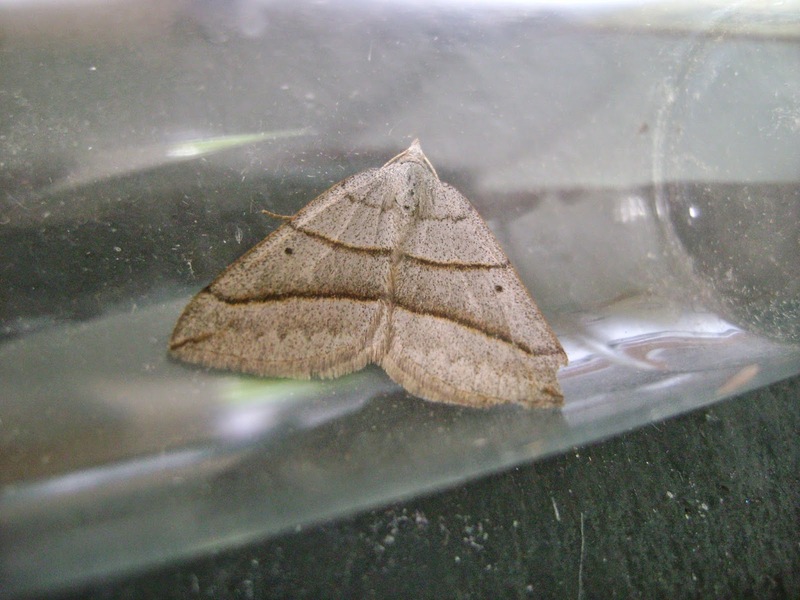 In the lead belle, the discal spot is usually tear-shaped or `blurred` and is in a roughly midway position within the pale-centred median band on the forewing, and the outer zig-zag line is more distinct than in the July belle. With the July belle, the spot is more compact and sharply defined and the outer zig-zag line is very indistinct or absent. The central bar is narrower and straighter than in lead belle. I caught what I believe is a July belle today at Mynydd Llangyndeyrn and a photo is shown below, together with a photo of a lead belle caught in Crychan Forest last week. Above: lead belle at Crychan Forest. Above: July belle, Mynydd Llangyndeyrn.